1.3 acres with commercial frontage on the Old Glenn Hyw.,in the Butte. On the new bike trail, this site is currently Jim Creek Fatt Burgers. 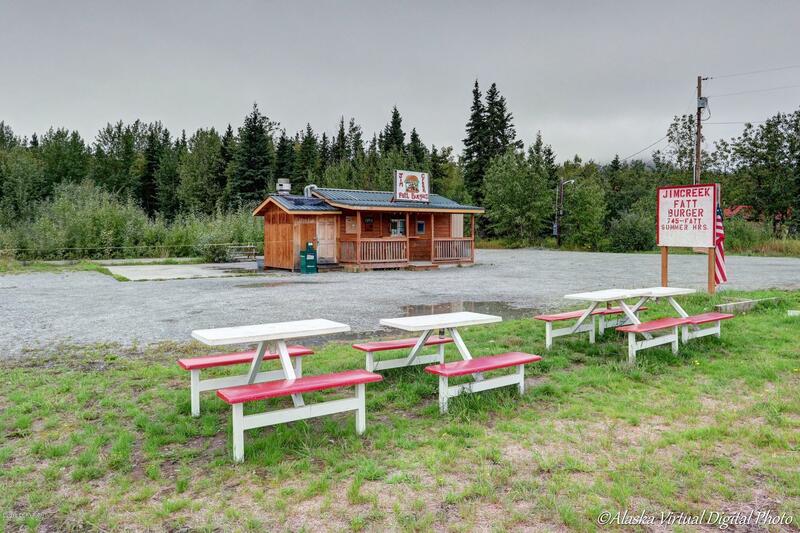 Property includes +-225SF structure with a DEC approved & inspected commercial kitchen, 20' refrigerator conex, water well, gravel pad on back lot & many extras. See inventory for full kitchen/ property list. Sale does not include business name or recipes.